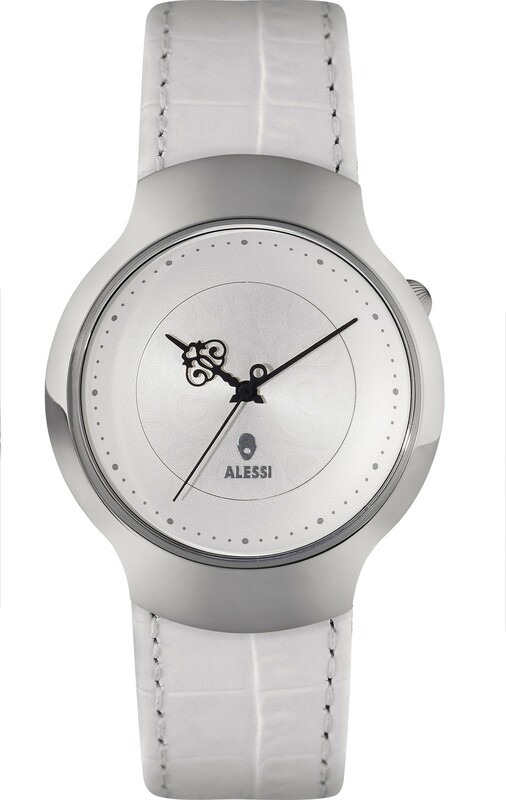 Dutch Design and Italian elegance are combined in this Dressed by Marcel Wanders watch from Alessi. Minimalism with an embellished hour hand providing a classic detail. A stainless steel housing with analogue quartz mechanism and mineral glass. The strap is in white leather. Get Dressed by …. 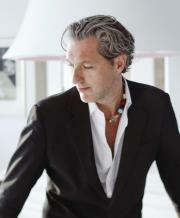 Marcel Wanders! Sleek Dutch Design men's watch with an embellished hour hand as a classic and striking detail. A Marcel Wanders design for the Italian brand Alessi. The watch has a minimalist white numberless face and black hands. 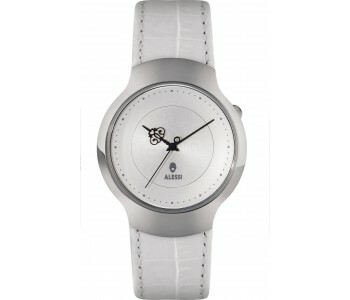 The stainless steel housing (4.1 cm ø) contains an analogue quartz mechanism and the face is covered with mineral glass. The strap is in white leather. Delivered in attractive gift packaging.